If you think Thanksgiving desserts are simply based on pumpkin, then take a look at these French recipes. These classic favorites range from simple sweets and easy baked goods to elaborate traditional French fare. There's something here to fit every autumn-themed menu and not a pumpkin in sight. There is much debate as to who, exactly, invented the original opera cake recipe and where. Some culinary historians have set it as far back as the 1890s, while others put its creation at a Paris shop in the mid-twentieth century. 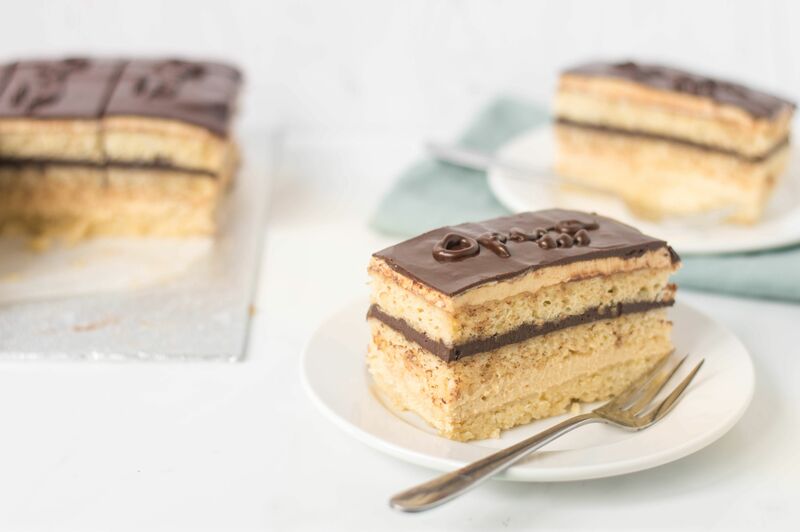 Whatever it may be, you must agree that this opera cake recipe is well worth the time investment. Layers of light almond sponge cake, coffee buttercream, and dark chocolate ganache make it the showstopping dessert. Creme au caramel, also known as creme caramel, is a wonderful dessert recipe for dinner parties. Not only is the flavor mellow, sophisticated, and versatile; this bistro classic can be made up to one day in advance. Served in an impressive pool of homemade caramel, it needs no garnish other than an attractive plate. Soft melting dark chocolate ganache lavishly dusted with cocoa powder is a treat unlike no other. These French dark chocolate truffles are the epitome of that treat, and once tasted will never be forgotten. This dark chocolate truffles recipe is so rich, so flavorful, that they require eating slowly. This almond tart makes a caramelized, delicately crunchy dessert. If you want to serve the tart as individual pastries, simply pour the filling into tartlet pans. A little dollop of Chantilly cream served with the dessert makes the ideal treat. If chestnuts roasting over a crackling fire are evocative of happy times and holidays, then candied chestnuts are their luxurious cousins, served only as the most indulgent of treats. So beloved is the flavor in France, that the Berthillon Glacier in Paris usually sells out of their dreamy marron glacé within hours. Poached pears with chocolate creme Anglaise make for an exceptional, appealing dessert. 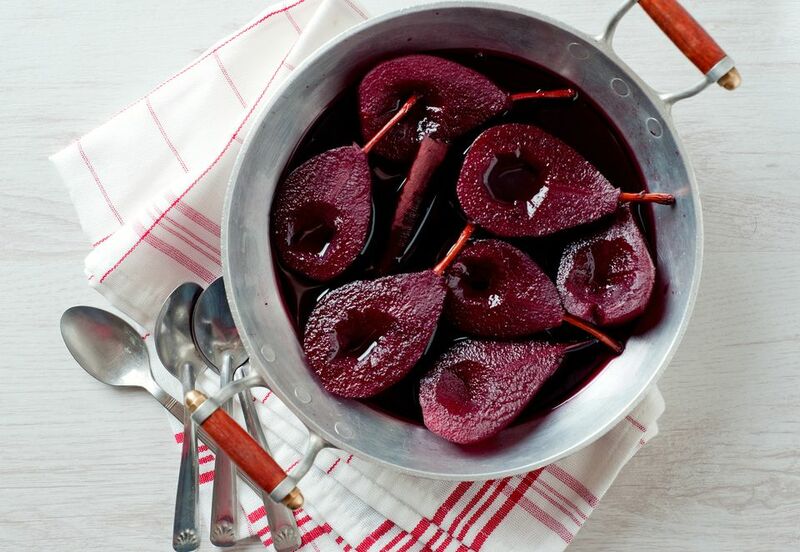 This recipe showcases fresh pears poached in wine syrup until they turn buttery soft and a gorgeous, ruby red color and served with chocolate sauce. Delicious. The best first French recipes to learn must be a simple chocolate soufflé. The soufflé is a magical, airy, delicious, and complex confection that perfectly rounds out any meal. Served fresh out of the oven, it delights young children through to impressing your dinner guests. Take one bite of this apple cider pound cake and you'll be transported to the orchards of Normandy. This deliciously spiced quatre quarts cake was inspired by a drive on La Route des Cidres, in Quebec, which, like Normandy is dotted with apple orchards, cider houses, and picturesque inns. This country-style brioche bread pudding is an easy alternative to elaborate dessert recipes. Simply whip up an easy custard and toss it with pieces of day-old brioche, a rich, sweetened egg bread. This bread pudding is a delightful finish to a hearty supper, but it makes an equally delicious way to start the day, as well.